Mindful Technique for Daily Stress Relief! Our La Mer team is learning and discovering a variety of psychological techniques to improve our physical and mental well-being. 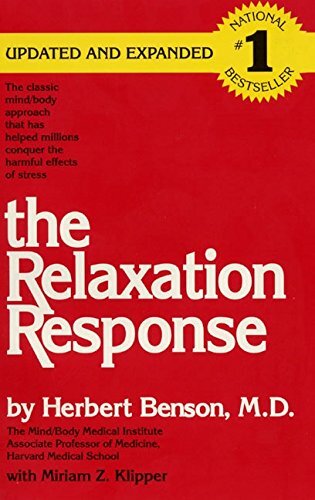 One of these techniques is in a book we are reading called, The Relaxation Response by Herbert Benson, MD. His technique helps us relax and calm the body and mind. To begin, sit quietly in a comfortable position. Then, choose a word, sound, phrase or prayer to repeat to yourself. As you do this, passively disregard everyday thoughts that inevitably come to mind and return to your repetition. Relax your muscles, from your feet to your calves, things, abdomen, shoulders, head, neck. Breathe slowly and naturally, and as you do, say your repetitive word, sound, phrase, or prayer silently to yourself as you exhale. Assume a passive attitude. When other thoughts come to mind, simply say to yourself. "Oh well", and gently return to your repetition. Do not stand immediately, continue sitting quietly for a minute or so, allowing other thoughts to return. Then open your eyes and sit for another minute before rising. Practice this technique 1-2 times daily. Good times to do so are before breakfast and before dinner. There are many Apps out there that can significantly help you do this same technique. I find that it is easier to do with someone guiding me through the process. The app that I use is “Insight Timer”. It has hundreds of guided meditations to choose from. They are divided into type of meditation, whether it be to relieve stress or release tension and pain. It can be based on mindful breathing or you can also just set a timer and have soothing music will help you with relaxation. By setting time aside for yourself every day and adopting this simple psychological technique, you can improve your physical and mental well-being. Research has concluded that a combination of mind/body techniques offer all of us profound health benefits. If you want to read further, check out the link above!